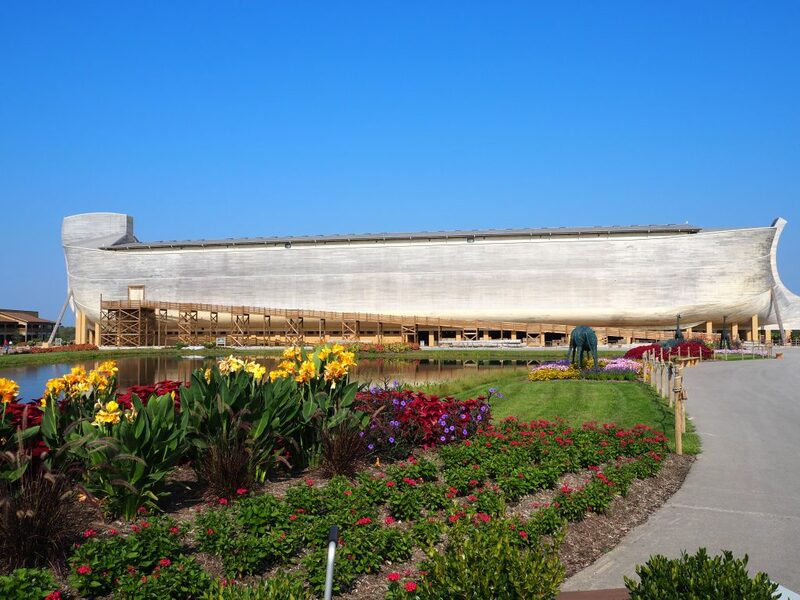 There is now way to get photo of the Ark that shows its true size and beauty! 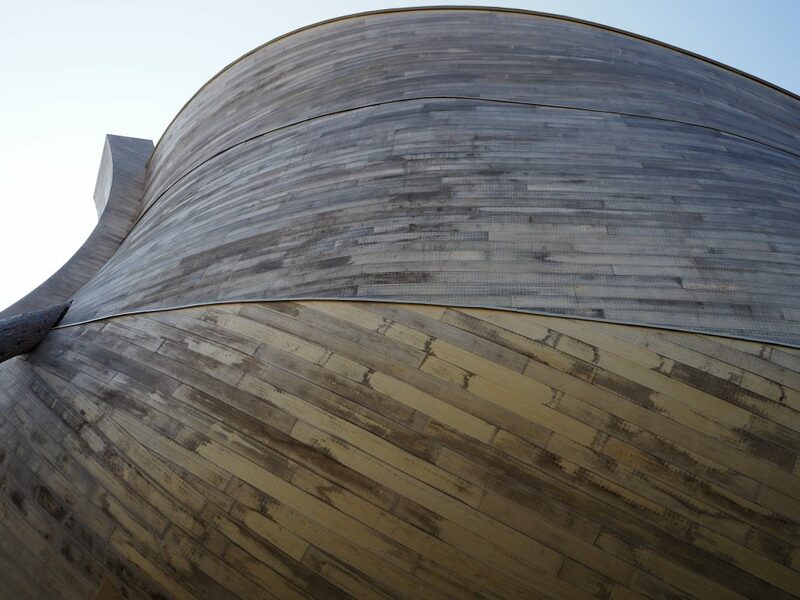 The Ark itself is 510 fee long, 85 feet wide, and 51 feet high! 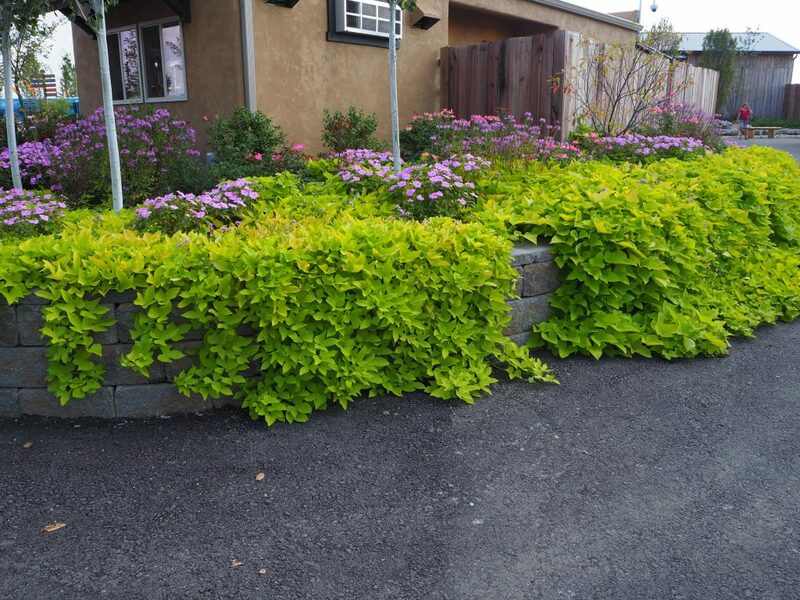 The Ark staff did an amazing job with the landscaping. 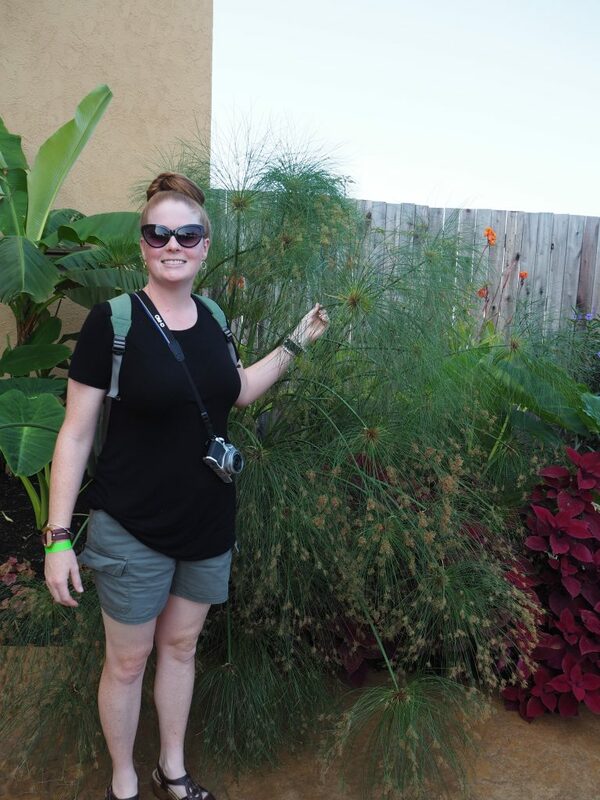 The tropical beds help paint a beautiful picture. The view as you go under the Ark to the entrance! 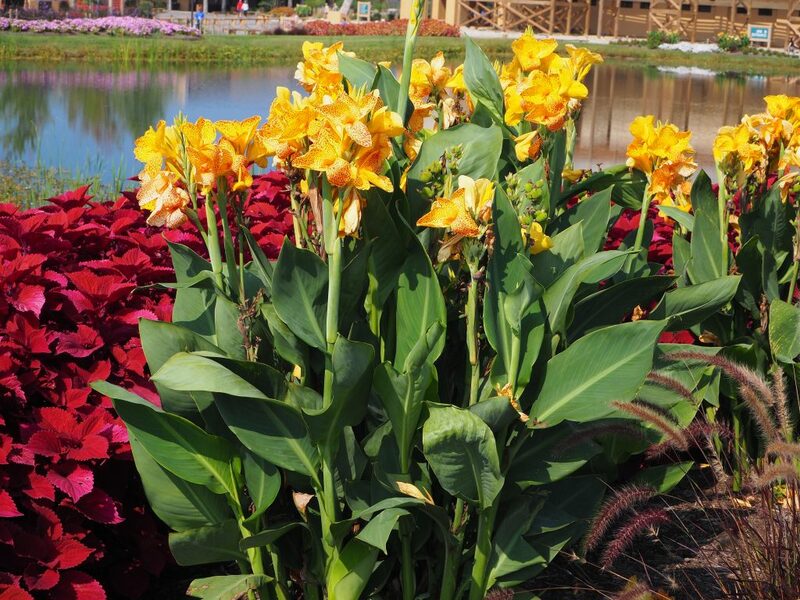 Some beautiful canna lilies in front of the Ark. 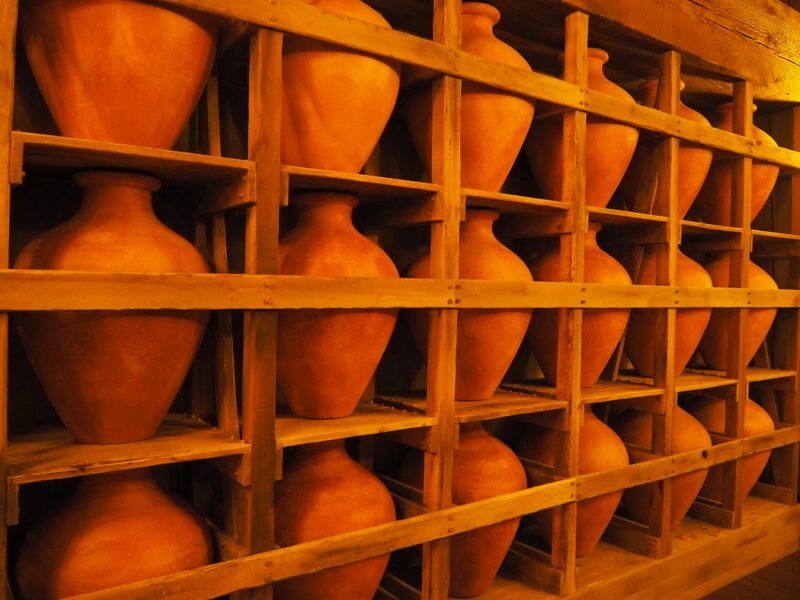 There were multiple walls of clay jars displayed in the Ark. These were used to hold water and grains for the long journey ahead. 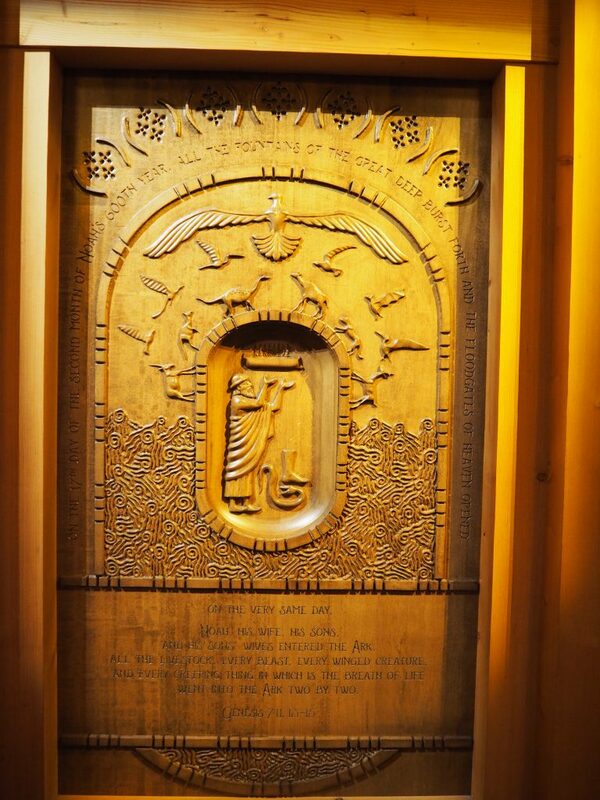 This beautiful carved door depicts the story of Noah and the flood. 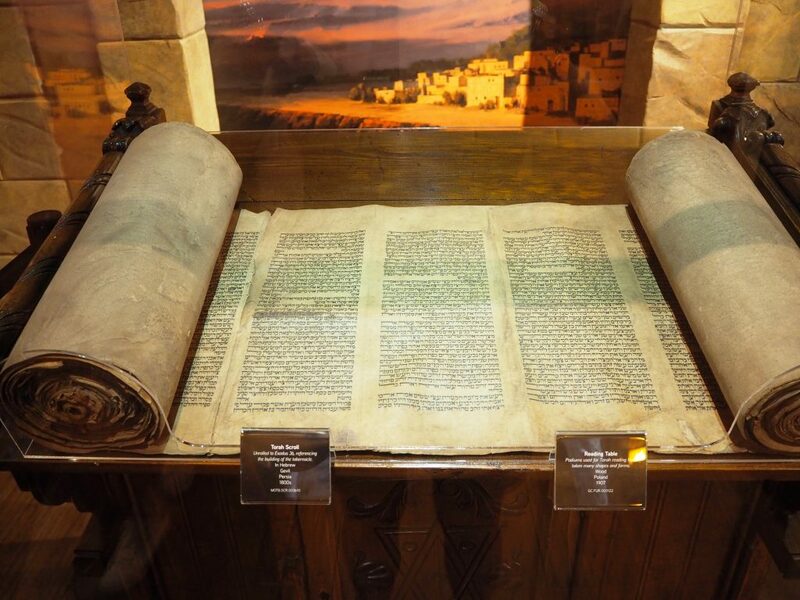 Genesis 7:11 13-15. 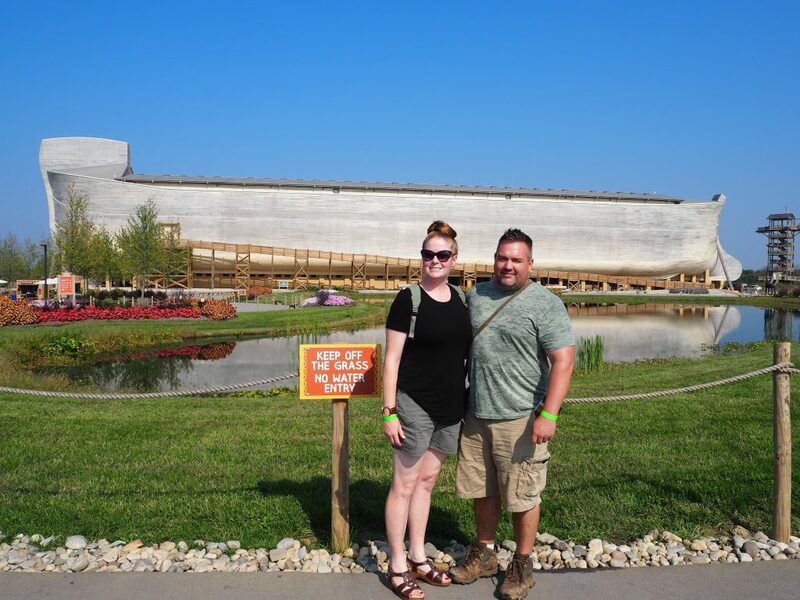 The Ark is full of cages and varies animals that might have been on the Ark. 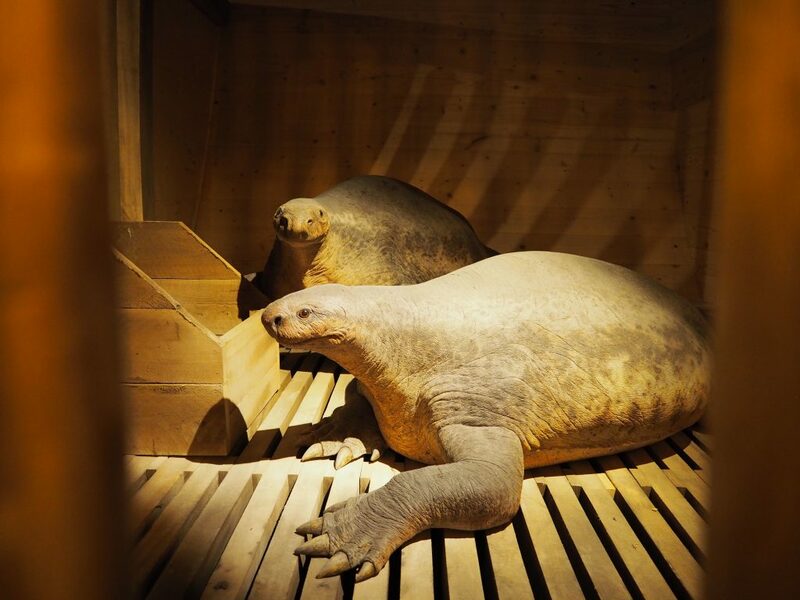 There is a short video on deck 3 that tells how these amazing creatures were made. It is fascinating to hear the artist walk you though the process to make just one animal! 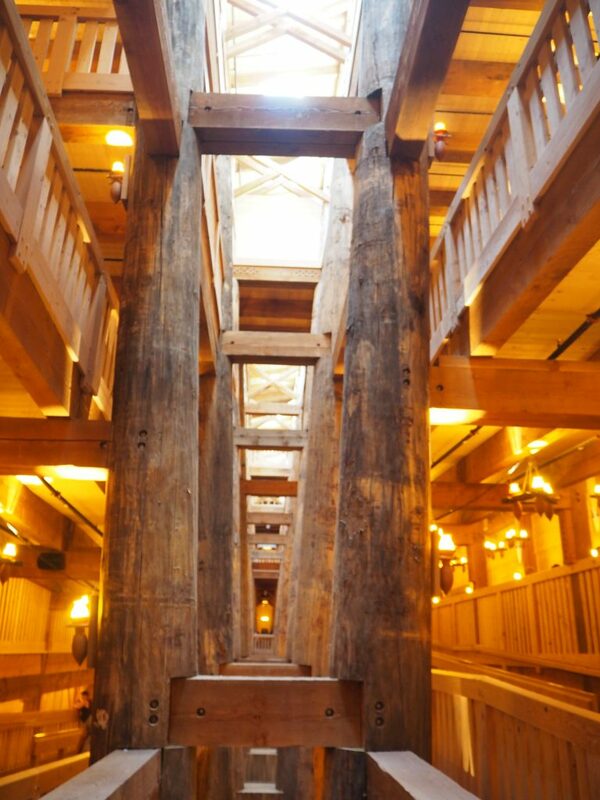 As we were exploring the Ark, you would forget that you were inside the massive Ark! It is hard to comprehend the sheer size of this boat and all that it contained.